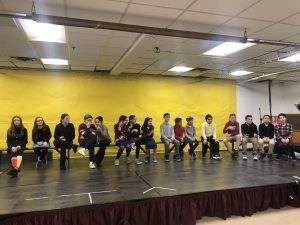 HANC’s Samuel and Elizabeth Bass Golding’s Elementary School held its annual schoolwide spelling bee. Under the leadership of Mrs. MaryAnn Harold, the fourth, fifth, and sixth grade students participated in a class contest from which two winners were chosen in each class. These children demonstrated their spelling skills at Monday’s school championship. As the champion spellers showcased their exemplary abilities, they were cheered by their classmates. Even after a word was misspelled, the disappointed contestants were met with applause and hugs of encouragement. The participants were: fourth graders Jamie Blass, Sam Edery, Yosef Chaim Hilsenrath, Aiden Jerome, Ilana Nenner, Jenny Schwartz, and Ruby Tilis; fifth graders Kayla Brukner, Stephanie Macagno, Jonathan Paimony, and Tara Sebbag; and sixth graders Shoshana Eisner, Matan Galanti, Azi Goldstein, Emily Mark, Mark Rosenstock, and Jaden Stavish. After an admirable job on the part of all the contestants, it came down to a hard-fought duel between Jaden Stavish and Kayla Brukner. 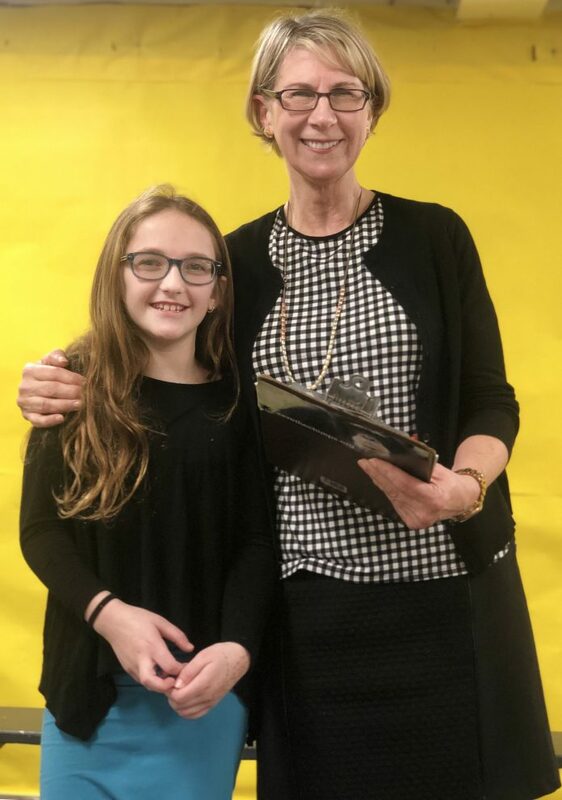 However, in the end, only one could be declared the winner, and it was Kayla Brukner who will move on to the next phase and potentially participate in a regional spelling bee. HANC wishes Kayla much success in the upcoming competition. It was heartwarming to see how all the participants held their own and were so supportive of one another. Congratulations to all of the contestants on a job well done!